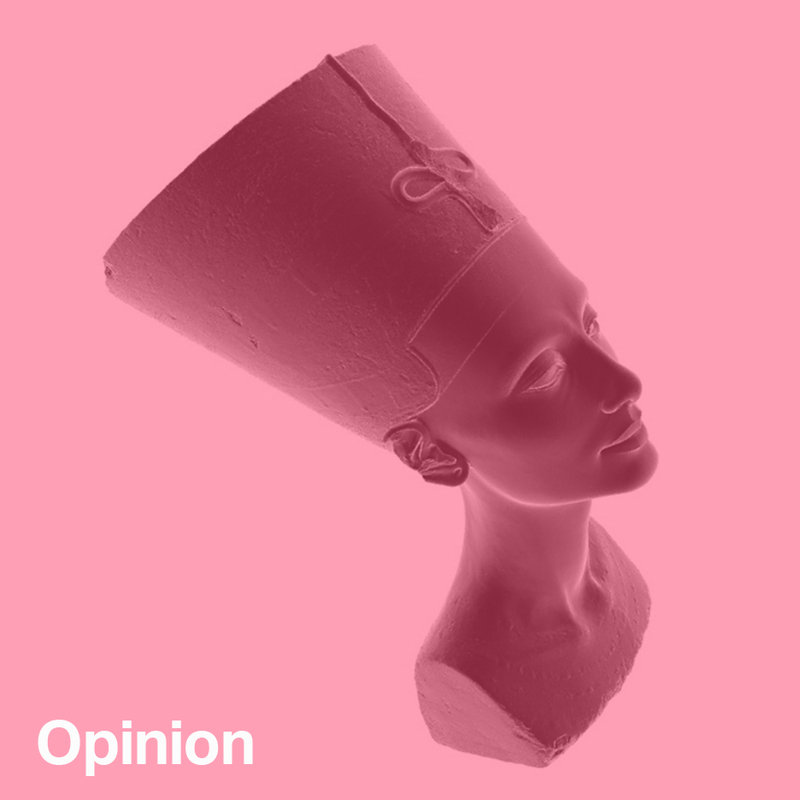 Sam Jacob: "The copy is both despised and feared"
Opinion: by walking out of Berlin's Neues Museum with an illicit 3D scan of the bust of Queen Nefertiti, a pair of artists has forced us to question whether conservation is an act of care or a radical form of repression, says Sam Jacob. Conservation is often misunderstood as a practice concerned with the past. Really though, like the best science fiction, the subject of conservation is the present. Or more exactly, it is the site of intersection for ideas about the past, framed within the morality and ideology of the present. Its tools and techniques, for example, are both highly traditional and cutting-edge. Think of the conservation studio like a cross between an emergency room and a medieval workshop. A place where X-rays and linseed oil converge. And now, of course, where digital technologies too join the deployed to image, scan and otherwise document the artefacts of human culture. Last October, two artists walked into the Neues Museum, Berlin, and walked out with the bust of Queen Nefertiti. Then gave it away. Nora Al-Badri and Jan Nikolai Nelles had 3D scanned the bust without the museum's permission, then uploaded the data as a torrent as part of a project titled The Other Nefertiti (top image). A 3D print of the bust produced by the artists is now permanently on show in the American University of Cairo, this new version repatriated as a digital ghost, a solid shadow displaced in time and space. The artists explain: "With the data leak as a part of this counter narrative, we want to activate the artefact, to inspire a critical re-assessment of today's conditions and to overcome the colonial notion of possession in Germany". What they mean, I suppose, is that the project interrogates ideas of ownership and possession, of rights to objects, even on the rights of objects themselves. The bust (the original one that is) was "found" by an expedition of the Deutsche Orient-Gesellschaft (DOG) in 1912 at Amarna, Egypt. The DOG was founded, and funded, by Kaiser Wilhelm II to "acquire" knowledge and artefacts of the Biblical lands for Prussia. Walk into any equivalent museum though and you'll find similar stories; the loot acquired by Colonial and Imperial pasts, displayed as the height of culture as if innocent of the deals, crimes or other forces that swept up antiquity. All museums are political forces themselves, things that come from somewhere specific in time and space. They are displays not only of the objects they claim to display but also of the mechanisms of that institution. In reality, museums are acutely aware of their own political baggage and perhaps Al-Badri and Nelles' act is not an assault on the institution but a form of solidarity with the problem of ownership. What, they say with an abandon that most curators might relish deep down, if we gave it all away? The power of owning objects, of displaying them, is the power over cultural narrative, the narrative of "the victors" as Churchill put it. We are given access on their terms. Don't touch, no photography, pay here, donate there. What of the rights of objects themselves? How, where and to whom they like to be shown? Objects are endlessly open and generous and that makes them vulnerable. Its the fact that they give out, give themselves up to us so fully that makes them so fragile, so often subjected to our will. What does it mean if the artefacts they are entrusted to take care of begin to escape their boundaries? What would it mean if the digital spirits left the body of all their artefacts, ghosting out through networks into the ether, multiplying exponentially, information knowledge and culture circulating electromagnetically, re-precipitated back into solid form. Archeology evaporated and distilled, remade and reimagined. How might a world of liberated objects work? How might these objects be able to perform in new and different ways? One might think of this as a liberation of artefacts from their circumstance. Another form of radical conservation is employing exactly this: a kind of rescue mission, often after their own demise. Technology of Rekrei, formally known as Project Mosul, is a distributed volunteer group that uses the technology of photogrammetry to reconstruct archeology and artefacts whose physical form has been destroyed. Rekrei's founders were reacting to by the destruction, looting and black market sales of cultural heritage in Iraq, Syria and beyond, and of heritage at risk from other forms of destruction such as the recent earthquake in Nepal. They and their volunteers use existing photography of sites and objects as datasets from which 3D forms can be calculated. The models are then uploaded and made available. This effort to reconstitute physicality from documentation is also an effort to retain and reconstruct knowledge. Viewing the models is to view both the efforts to retain human culture but also to see its ghostly image, an eternal digital afterlife of objects whose site is one of both incredible fidelity and, where the data runs out, hazy suggestion. Digitally it gives us this dreamlike view, where the act of remembering and forgetting are recorded simultaneously in the file. Part autopsy, part memorial, these are new objects that record both their own existence and their own destruction. And in this they speak a truth about objects – they are things that we bring into the world through the way in which we shape materials into cultural form but they are also things we destroy. The story of objects is both of these moments as well as the objects' own moment of object-hood. And in this they share condition with us: We might say to them even as we speak to ourselves: "for dust thou art, and unto dust shalt thou return". Could we understand conservation as a broader practice: as midwife and funeral director and pastoral shepherd of an object through its own life? Al-Badri and Nelles, and Rekrei may all be using new forms of technology, but they are also connecting to a tradition of culture that is bound up with the act of copying. Architectural culture, it could be argued, is a commons, a public body of knowledge formed by the act of copying. Copying – from one culture to another, from one architect to another – is an act that has always been intrinsic to manufacturing a contemporary architectural culture. This radical re-enactment of history is a fundamental mode of architecture's development. We might begin a historical survey of architecture's reenactments with the Egyptian column. The primitive tree and reed columns transformed into architecture when they became stone columns carved to look like a tree trunk or a bundle of reeds. Right here, in a foundational architectural moment, we see reenactment as the primary architectural idea. The primitive tree-column returns at the moment it is technologically superseded. The original gesture of the tree-column is radically altered through its reenactment in stone, producing a ritualised symbol that re-stages its origins just as it escapes their gravity. Think of the Greeks copying the Egyptians, the Romans copying the Greeks, the Renaissance copying antiquity. In each case the act of copying was both a form of scholarship but also an act that produced a radically new, totally contemporary architectural form. Copying, rather than being is a fertile ground for producing radical breaks: It's not what you steal, its the way that you steal it. In this, the act of copying connects to its etymological roots, to the cornu copiae, the horn of plenty, the horn of the goat Amalthea from which endless goodness flowed to feed the infant Zeus. The deliberate, tactical destruction of culture is often mirrored by just as tactical forms of reconstruction. The symbolic UNESCO-funded reconstruction of the Stari Most, for example, destroyed by Croat forces during the Croat-Bosniak War, may be classified as "heritage" but its reconstruction represents the cultural fecundity of remaking. The copy in contemporary culture is both despised and feared. It is controlled through legislation precisely because of its radical fertility, because it threatens ideas of originality, authorship and ownership that underpin foundational myths and economic systems of culture. It's just these issues that a series of projects I have been involved in have investigated, first the Architectural Doppelgangers research cluster at the AA with Ines Weismann, that asked if the myth of the doppelgänger haunts the discipline? Is architecture's imminent death signalled by the encounter with its doppelgänger? Does its doubling create an evil twin? Or conversely, can architecture find a productive relationship with the culture of the copy? It's there too in a series of pieces made for a show curated by Study O Portable at the Soane Museum. These pieces took fragments of antiquity, broken pieces of ancient Greek and Roman pottery and made them whole again in a thoroughly modern way. Their title – A False Description of the Thing Destroyed – was taken from John Ruskin, whose attitude towards conservation remains foundational to the ways we frame issues of conservation. The very 'falseness', Ruskin's moral panic, is mobilised as a new condition. More recently, the studio has been exploring the potential of 3D scanning to produce 'replicas' that explore potentials of new, post-digital forms of authenticity. Technology now allows us to record and reproduce with great fidelity. One one hand, we could imagine a new tradition of the cast – the kind of thing you'd see in the V&A's Cast Courts (or the Soane Museum) which once acted as the fertile ground for education – now in .stl format. But even more, this new form of replication as the site for speculation about both culture and objects. In Milton Keynes, we made a replica of an Avebury standing stone, scanned and milled as a 1:1 replica, except in its new form coated with the kind of custom car paint that changes colour as you move around it. Digital replication allows here a way to intersect forms of culture, knowledge and material to create something that is both deeply ancient (in its form) and modern (in its surface finish). And now, we're working on a piece to be unveiled in May at the Sto Werkstatt that will replicate a garden shed. The original shed – 3D scanned, processed and remade at a scale of 1.5 – will sit surreally inside this new larger digital version, arranged like a Russian Doll where one version of a thing sits inside another. Though the technologies of 3D scanning and digital fabrication the original building is both replicated and made different. The original building transmitted into a new state through a series of different acts and states. One could imagine conservation then as far more than the care of objects but as a radical act that alters the possibilities of the future. This practice – the conservation of the immediate present – would explore our (sometimes difficult and confrontational) relationship with objects, about how we use them to tell stories about ourselves and how they operate as the site where we invent the future. In turn, this would allow museums to refigure their own role as gatekeepers of culture and history. A gate that no longer controls what comes in but as an open doorway out into the world.